Once upon a time, a l-o-n-g time ago, I worked for a major department store’s call center, taking phone-in orders from their catalogs. For those of you who don’t remember what it was like back when you received catalogs in the mail and then either had to pick up the phone or fill out a form and mail it in with a check, you’re probably not nearly as impressed with the ability to turn on your computer and quickly research and order anything you like without having to call and speak to anyone directly OR get out your ink pen to list your items and calculate your own totals… but I digress. . . So back to working in a pre-turn-of-the-millennia call center. Back then I occasionally accessed a computer at school but certainly didn’t have one at home, so the thought of being able to do my job–to take those customers’ orders right from home never even dawned on me. I worked my little part time job on the weekends from the warehouse-sized, cubicle-filled, artificially-lit to-wake-the- dead, cord-riddled, brick-and-mortared call center. I hated that job. Not because of the phone calls. Some of them were insanely amusing, some were frustrating, and true – some were extremely annoying. I hated my job because I hated the working environment (not the actual work). It gave me a headache just to see the building and winding my way along the cubicle corridors to find my station never ceased to be tedious. But it’s not like that today, at least not for some call center agents and customer service representatives. You know, the ones who take calls right from home. While I referenced call center agents (or customer service representatives) before, see Be Careful, Is it Really Employment, I didn’t spend time researching or compiling a list of companies that look for and hire home-based, phone-based, agents or representatives. What does a virtual call center agent do? Whatever the title; call center agent, customer service representative, help desk specialist, or brand ambassador… virtual call center agents take inbound, or perhaps sometimes make outbound, phone calls for a company (or companies) that are routed through to their home. If you’re interested in a telecommuting position that entails taking phone calls and assisting the callers, you’ll need to have a computer with high-speed Internet access, a dedicated phone land-line, a really nice headset, a quiet place to take calls, and, well, a plethora of patience since you may be dealing with callers who are less than happy. I’ve italicized the word “hire” above because some call centers don’t “hire” or “employ” agents but rather use them as outsourced labor. To learn more about the difference between an employee and a 1099 contractor, refer again to Be Careful, Is it Really Employment. Be sure to do your due diligence and look carefully at the particular job offer you’re considering to determine what your working status would actually be and look for additional information on the company you’re considering. Blog postings and comments, forums and message boards, the BBB, and search engines can all bring a wealth of information your way about any given company. Don’t just read the website copy and sign up without doing a bit of preliminary research. That said, here is a list of companies known to hire virtual call center agents that work from home. Be sure to check more into any of these before diving into an application process feet first. Created in 1998, their site touts they provide customer service solutions using home-based employees called CCPs (Customer Care Professionals). Their careers section also notes why it’s better to be an employee (as opposed to an independent contractor). They offer paid training, an hourly compensation, and benefits, noting their requirements here. See these Alpine Access comments as well! I’ve heard some negative things about Arise (see these related comments) but there is also a thread on the WAHM forum for more detailed information from folks who’ve worked for them. Currently employs people across the U.S. on an “as needed” basis. If you apply and they’re not hiring in your specific area, they’ll keep your detailed information on file, and contact you via email when we have something available in your area. Hires home agents to receive incoming calls from customers of leading companies. The types of calls vary, and may include customer service, sales, or technical support. That’s right, the hotel company. They have a flexible work-at-home program called Hilton@Home. Here’s what they say, “The highly flexible program enables HRCC to attract talented individuals for reservations and customer support positions who prefer to work from the comfort of their own homes while providing the first critical interaction for prospective guests calling upon reservations and customer services.” See the rest of their press release, Hilton Hotels Corporation Rolls Out Flexible Work-At-Home Program For Reservations Agents, and their Hilton Reservations & Customer Care (HRCC) website for more information. N.E.W. Customer Service Companies, Inc.
Around since 1993, NEW provides extended service plans and buyer protection programs on behalf of retailers, manufacturers, utilities, and financial service companies. It’s headquartered in Dulles, VA. While it has 7 US-based call centers, it also employs more than 300 home-based CCR’s (Customer Care Representatives). The National Telecommuting Institute (NTI) is a unique, nonprofit disability organization the helps find telecommuting opportunities for Americans with disabilities to provide real jobs they can do from home. They often offer call center agent opportunities (such as with the IRS during tax time) as well as other work such as medical transcription. If you don’t have a disability, the NTI is NOT for you. If you do, working with them to find legitimate work may be your best bet! PerceptIS has offices in Cleveland, Ohio and Phoenix, Arizona. They occasionally, they also have opportunities for virtual agents that work remotely. They’re currently showing an opening for a Help Desk Analyst. TeleTech employs more than 50,000 people in over 18 countries who help handle more than 3.5 million customer interactions each day. Their customer loyalty specialists work over the phone, through email, through live chat, or through other communication channels. Visit their HirePoint® recruitment site for more info. (I hear one of their biggest clients is B*ST B*Y). UCN calls Salt Lake City home, but we have employees all over the country in sales, technology and other positions. Qualified candidates are encouraged to review our open positions and apply online. Be sure to select “Remote” in the location box before hitting the search button. Verety LLC was launched in 2004 (formerly SEI which was established in 1969) and is a Ygomi Company. Other Ygomi held companies may also offer work at home opportunities, but this company page looked like the most interesting. Verety’s remote order service (ROS) helps restaurants enhance speed of service, order accuracy, and customer satisfaction by streamlining drive-thru operations by providing dedicated order takers so that the in-store crew can focus on payment, food presentation, and excellent service. Sounds intriguing, as does the career overview I linked to above. The company actually provides each associate with a computer and software and a headset as well as reimbursement for the Internet connection fees. They also offer paid training, which is good given that associates initially spend several weeks learning the job at a designated Verety location (in North Dakota or New Mexico). Kinda gives “would you like fries with that” a whole new meaning. Created in 1997 by spinning off from Capitol Concierge, they specialize in delivering Concierge and Virtual Call Center Services for national brand leaders in several industries that include travel, auto, financial services and retail, by providing high-touch, high-tech branded service platforms and their agents are called Brand Ambassadors. It appears that they have both employment opportunities and independent contractor opportunities. While I don’t see a history of the company online, they do refer to job openings as employment and their call center agents as employees. To learn more see their FAQ and their A Day in the Life page. Created in 1996, their agents are independent contractors (not employees). Their systems are, so far, not Vista compatible. Specific information can be found in the FAQ. My virtual blogging friend, Nessa, actually works for Working Solutions. She notes that they are looking for Spanish speaking agents and she also offers to answer any questions you may have about working for Working Solutions (and perhaps about working as a call center agent in general as well)! Send Vanessa an email, but be polite – and let her know you are contacting her because of the article you saw here at Telecommuting Journal. You might also check out her Work at Home Advice from a Call Center Agent where she talks about working as a call center agent and about working at home in general. Produced by VIPDesk, noted above, Virtual Voice is an industry news source to follow. To subscribe, just click here to send an email. A forum discussion about work at home agents, including West and Arise. An article from the WFH Pro blog which discusses the pros, cons, what to look fors, and requirements of call center work. An excellent resource. Be sure to see my extensive review of the Little White eBook of Homeshoring Jobs. 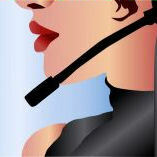 Call Desk Inc (http://www.CallDesk.com) also hires home-based agents. CallMeJobs.com is the leading job board focused exclusively on the call center industry. Check us out for the all kinds of companies currently hiring for call center jobs. .-= callmejobs´s last blog ..MarkCook wrote a new blog post- Recruiters Corner- Advice for the Call Center Job seeker =-. Phone… absolutely… Patience… you got it! I will say though that most people have the phone… many of them, but lack severely in patience. Excellent post. Your text was an eye opener, and I really did learn a lot of new stuff. My company also hires a lot of call support personnel, and I’ll make sure to check on the company that sends us the manpower. It’s a really important part of any business as it’s the only contact that customer will have with our company and it’s important to leave a good impression.